Bitspower Crystal T blocks are crafted from machined acrylic. Great for using with a fill line or splitting your loop without significant flow reduction - Not to mention like all Bitspower products - they look good too. 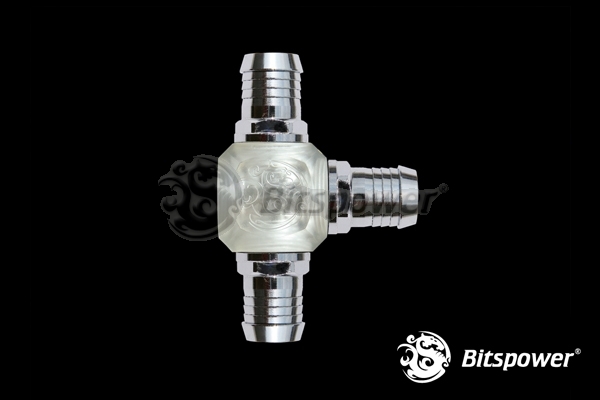 Use in conjunction with G1/4" threaded fittings.